THERESA MAY is to travel to Dublin on Wednesday for talks with the Taoiseach in a bid to rescue her Brexit deal. The British Prime Minister has already been dealt a heavy blow in her bid to secure new reassurances from fellow EU leaders over the deal, as the European Commission president declared there was “no room whatsoever for renegotiation”. 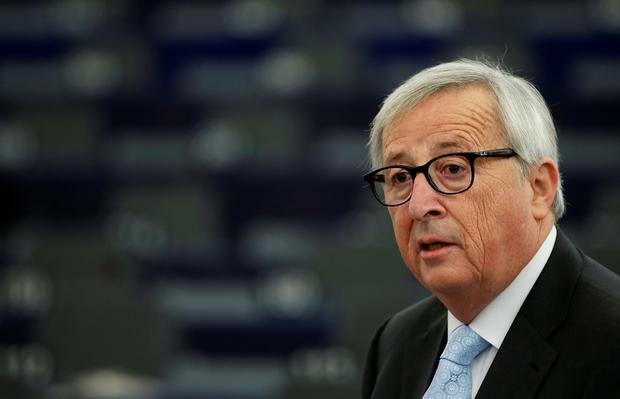 Jean-Claude Juncker said the Withdrawal Agreement on offer was the “best deal possible” and the “only deal possible” as the British prime minister embarked on emergency Brexit talks with her Dutch counterpart Mark Rutte in The Hague. He offered a glimmer of hope to Mrs May by saying there was room to give “further clarifications and further interpretations without opening the Withdrawal Agreement”. Now it has emerged that Mrs May is to travel to Dublin tomorrow evening for a crunch meeting with Leo Varadkar. They will discuss how to reassure MP in the House of Commons that the backstop will trap the UK in the EU’s customs union. Mr Varadkar has already stated that the Withdrawal Agreement cannot be renegotiated. Earlier on Tuesday, Mrs May sought Angela Merkel’s support on Tuesday to save her floundering Brexit deal but the European Union ruled out renegotiating the divorce treaty, after May postponed a parliamentary vote she admitted she would lose. Mrs May then held a “long and frank” meeting with EU Council president Donald Tusk. 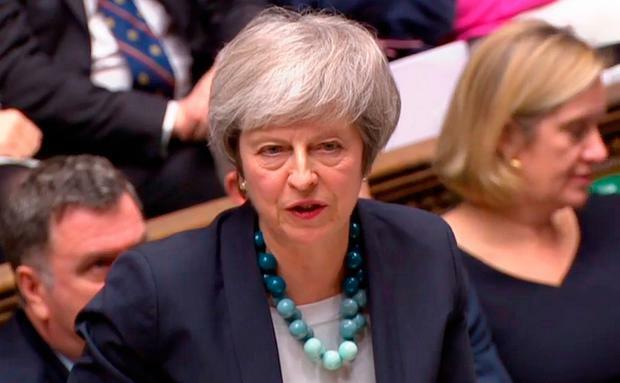 Mrs May’s move to abandon a crunch Commons vote, scheduled for Tuesday, on her Brexit deal drew howls of condemnation from the opposition as well as a number of Tories. She will now bring her Brexit deal back to the House of Commons “before January 21”. Mr Juncker won applause from MEPs as he said: “There is no room whatsoever for renegotiation, but of course there is room if used intelligently, there is room enough to give further clarifications and further interpretations without opening the Withdrawal Agreement. It came as Commons Leader Andrea Leadsom suggested Mrs May was seeking changes that would give Parliament an additional “democratic ability to decide”. “That might include an addendum to the Withdrawal Agreement that sets out that Parliament will vote prior to going into a backstop, should that prove necessary, and potentially that the EU parliament and UK parliament must vote every year thereafter to provide that legitimacy for the UK to stay in the backstop, should that prove necessary,” she told BBC Radio 4’s Today programme. As anger at Westminster continued to fester over the PM’s move to cancel the Brexit vote, MPs were poised for an emergency debate on the situation called by Labour leader Jeremy Corbyn on the day the “meaningful vote” was initially scheduled to take place. International Trade Secretary Liam Fox said it would be difficult to get the Brexit deal through Parliament without reassurances the UK would not be “trapped” in backstop measures ensuring no return to hard border in Ireland. Referring to Mrs May’s lobbying mission in Europe, Dr Fox told BBC2’s Newsnight: “My colleagues will want to see that their fears of being trapped in a backstop cannot be realised. He told the BBC: “I think the Labour Party, the Labour leadership, is facing a bit of a dilemma. “I mean, they want to straddle, and retain the support of the third of Labour voters who backed Leave in 2016, and the two-thirds of Labour voters who backed Remain.